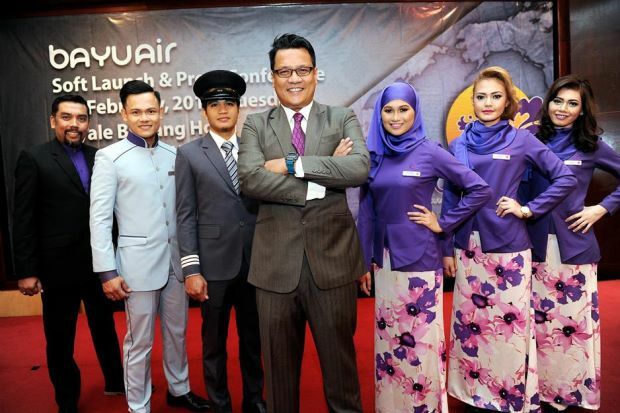 Bayu Air, which is scheduled to begin its flight operations in August, will be recruiting former Malaysia Airlines (MAS) staff. Chief executive officer Mohd Saifulrizal Raffien said Bayu Air’s entry would provide job opportunities in the aviation industry, including 100 ex-MAS crew members and 25 ex-pilots who had lost their jobs. MAS retrenched 6,000 employees in August last year as part of its restructuring plan to cut down its losses over the years. Speaking at the pre-launch of Bayu Air flight operations in Kuala Lumpur on Tuesday, Mohd Saifulrizal said three Boeing 777-200s would be used for the first phase of the airline flight operations to Jeddah and Madinah as well as routes to China. Bayu Air, owned by Bayu Mutiara Skyways Sdn Bhd, was set up in 2014 and is based in Cyberjaya with 300 staff. Meanwhile, Domestic Trade, Cooperatives and Consumerism Minister Datuk Seri Hamzah Zainudin said the Government fully supported efforts by Bayu Air to promote the bumiputra economy. “I am also attracted by Bayu Air concept which showcased local small and medium enterprise products as this would give a huge impact to the industry,” he said.